This harness will connect two battery packs in series. You will effectively combine the voltages of the packs. 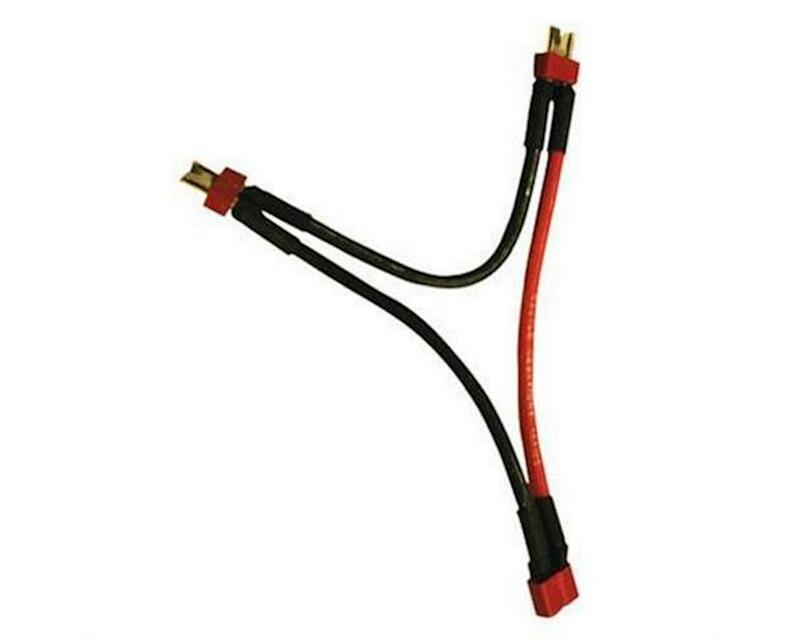 Example: two 3S (11.1V) packs will have the output voltage of 6S (22.2V) when connected with this harness. This is required for all users who need to use multiple battery packs in series for their power system. The market includes users in air, heli, car and boat categories. Note: You must always use identically prepared packs with this harness. Both packs must be fully charged and properly balanced. Both packs must be by the same manufacturer, have the same C rating, and both must have the same capacity and level of charge at all times. Failure to observe this warning will result in damage to your batteries.